Dalian: The latest issue of dual language SinoShip magazine launches today, with Splash readers able to access the full edition free of charge. 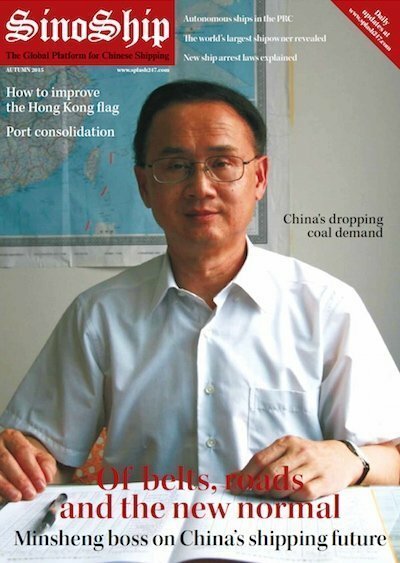 On the cover is Lu Xiaozhong, president of Minsheng Industrial (Group) and chairman of Minsheng Shipping, who says shipping must get used to China’s “new normal” of slower economic growth. As well as our regular features the magazine includes special legal and ports features. SinoShip, founded in 2012, is published quarterly. Click here to access the full magazine.